"Pawing it forward," matters, as attendees of the upcoming BlogPaws Conference in Myrtle Beach, South Carolina, will soon discover. With 500 pet influencers and social media experts embarking on the 9th Annual BlogPaws Conference taking place May 18-20, 2017 at the Myrtle Beach Convention Center, the spotlight shines on giving. BlogPaws expands and affirms its commitment to philanthropic platforms benefiting the human/animal bond as it welcomes multiple pet industry brands and players to this year's conference. From Bayer's PAWS Act initiative dedicated to supporting and rescuing pet parents and pets who are victims of domestic violence to Merrick Pet Care's ongoing initiative in support of K9 For Warriors through its Hero's Banquet food line, there will be several surprises and an enormous outflow of social media, love and money to support these and other cause-related efforts. "Every year, we try to expand our heartfelt commitment to the human/animal bond. We are extremely fortunate to be working with a wide array of brands in the pet industry that have created extensive programs to reinforce their own dedication," Chloe DiVita, Chief of Everything, for BlogPaws said. "This year's conference promises to be truly inspiring." Bayer Animal Health and their PAWS Act initiative dedicated to keeping families together and aiding and assisting domestic violence survivors and their pets. Merrick Pet Care joins up with Bleecker Street and LD Entertainment to present a premiere peek at the featurette from the film, "Megan Leavey," the true story of an Iraqi war-based Marine corporal and her K9 Warrior dog. The film exemplifies the power of the human/animal bond. The Cat Rescuers share the story of four volunteers working in Brooklyn to help over one million abandoned and feral cats by implementing a TNR (Trap-Neuter-Return) technique. Local Myrtle Beach Police K9 Officer, Daisy, will receive a bullet/stab protective vest to protect her from harm in the line of duty. Pet360 Media, the BlogPaws Pet Blogging and Social Media Nose-to-Nose awards sponsor, will donate $500 cash to each of the 14 winners' animal shelter/rescue choices. 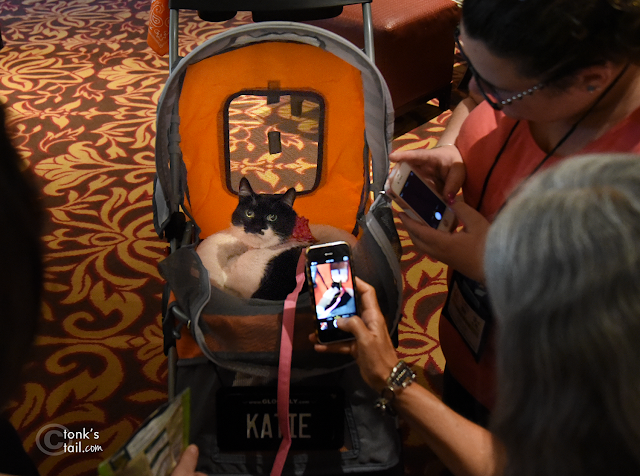 The BlogPaws 2017 Conference is capped at approximately 500 attendees, thus providing for a more intimate experience. The conference culminates with the much anticipated, pet blogger awards, "Nose to Nose," a Red Carpet event judged by a distinguished panel of professionals. Attendees of the BlogPaws Conference will learn how to be the change for pets through action, education, advocacy, social media influence, and blogger intervention. Further initiatives and surprises will convene on site with the human-animal bond/pay-it-forward mantra at their core." There sure is a lot of good going on! I think that is great that $500 will be donated to the shelters the winners choose. It's so great that so much good is being done under the auspices of the conference! 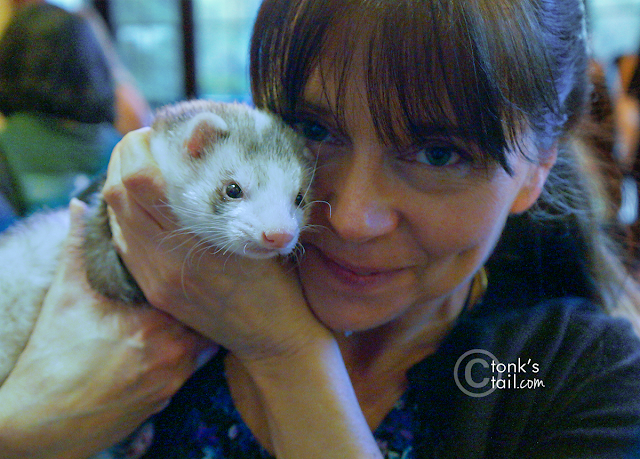 One of the things I love especially about BlogPaws is its charity aspect. What an awesome event. 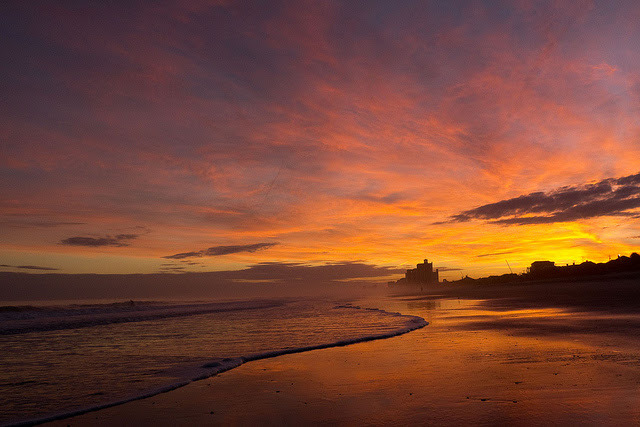 This made dad miss his and mom's trips to Myrtle Beach. They used to live less that an hour's drive from MB. Sounds like a great thing. Hope those helpful endeavors reach and exceed their goals. Coolio! A comment? For US? Thursday Trivia: My dogs are barking! Our mom is partnering with New York Times Bestselling Author M.D. Cooper on several science fiction adventure series. Below are links to the first story arc, The Enfield Genesis. Whiskers on Wednesday + You've Got MAIL! Put a Pillow ... WHERE again? copyright © 2016, www.atonkstail.com All Rights Reserved. Powered by Blogger.